The NBA Game Time apps for both iPhone and iPad have been updated today with a redesign for iOS 7 alongside full support for the 2013-2014 regular season and new content for both free and paid subscribers. On top of the redesign pictured in the screenshots above, the apps add home and away broadcasts for every game and archives for each nationally broadcast game for those that have an NBA League Pass. It also adds new content for free users, however, including the Game Recaps, Team Video, Player Statistics, Team Rosters, and Team Statistics features previously only available to paid users. Version 5.1 of NBA Game Time also includes alerts for live streaming videos and push notifications for League Pass subscribers. NBA Game Time is available for free from the App Store now as separate downloads for iPhone and iPad. NBA League Pass subscribers will now be able to enjoy both the home and away TV broadcasts from every game. NBA League Pass subscribers will now be able to enjoy archives from each nationally broadcast game. Game Recaps from every game now free. Team Video from every team now free. Player Statistics, Team Rosters, and Team Statistics now free. Live Video alerts let you know when we’re streaming press conferences and events live. League Pass Push Notifications now let NBA League Pass users know when games they can watch get exciting. 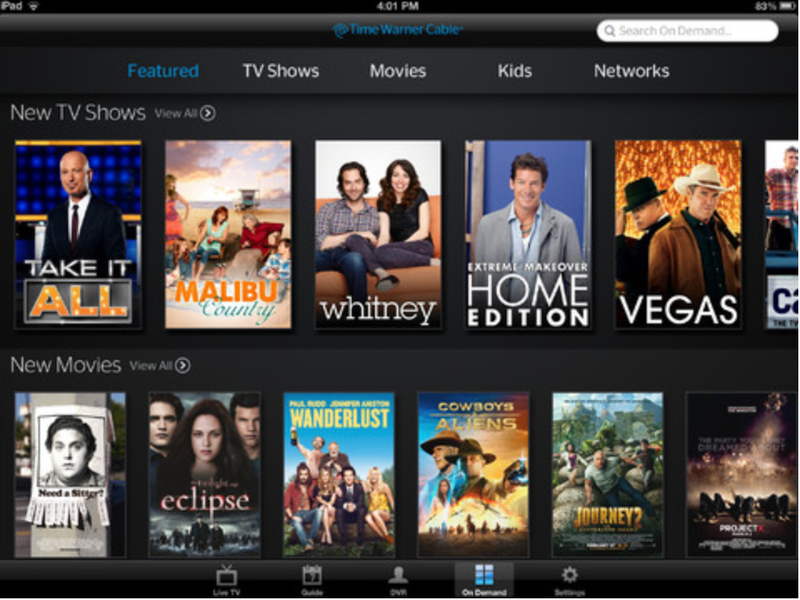 As announced yesterday, Time Warner Cable has updated its iPhone, iPad, and iPod touch application with the ability to access and stream select OnDemand content and TV channels while away from home. Previously, the application could only stream TV while you were in your home with Time Warner Cable TV service. Additionally, the app update has improved filtering and sorting for categories and shows. Bug fixes and various performance enhancements are also included in the 3.2.0 update.